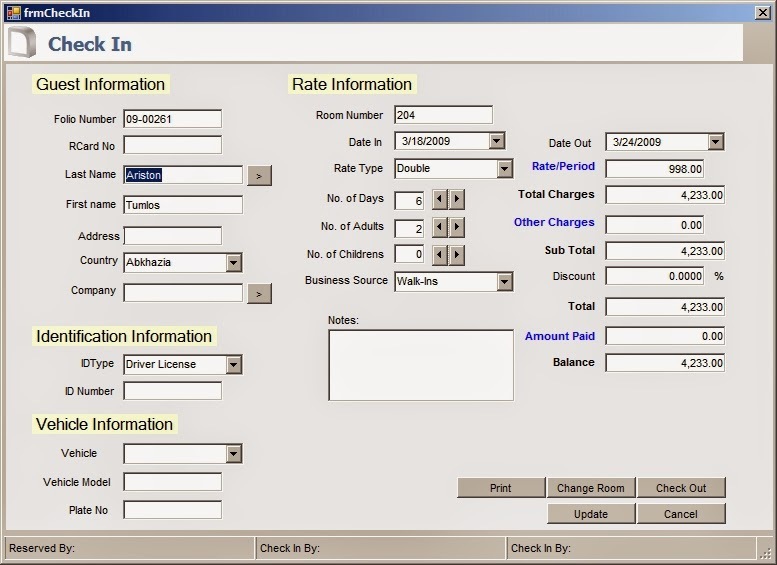 This is a complete software that is required for managing a hotel. I have covered all the areas and developed all the form that are required for managing a hotel. I have also genereated code for generating bill which is retrieved from two tables. Hope this might be useful to you.